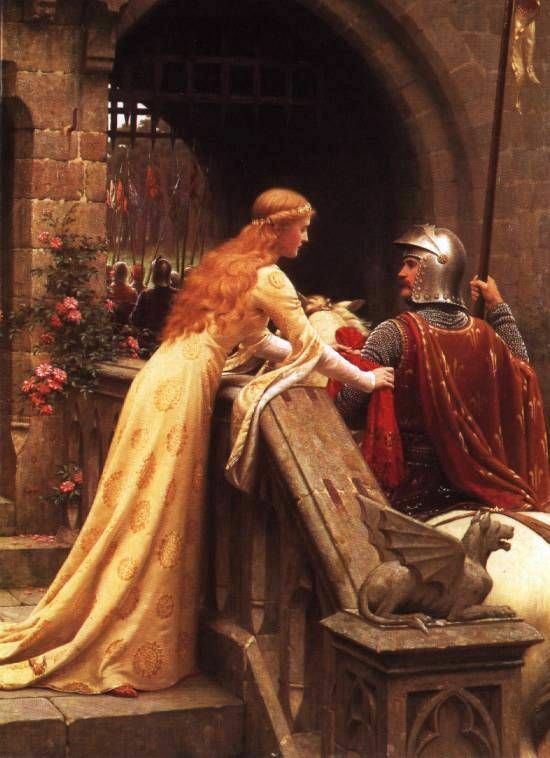 Most of us have probably obsessed over knights and chivalry sometime in our lives. But with life comes great distraction, and often our appetites for heroic stories change. We move on to other classics based in other eras, like the Victorians and the 1920s, and most of us move out of the classics and into modern works, such as YA and New Adult and contemporary romance and spy thrillers and etc etc. While all our tastes have moved on to modern authors who are still creating new stories, the solitary medieval writers are left behind, some of their stories only remembered in a handful of classrooms. When it comes to The Song of Roland, it seems only fitting to start off with a song. 😀 This epic poem is considered the oldest surviving major work of French literature, which is why there are several versions that still exist today, a testimony to its popularity ever since it was written back between 1040 and 1115. The story is based on the Battle of Roncevaux in 778 during the reign of Charlemagne who was fighting King Marsile in Spain. During a brief truce between the two fighting armies, Roland, whose Charlemagne’s nephew, nominates his own stepfather Ganelon as the messenger to go to the enemy’s court. Fearing to be murdered while there and accusing Roland of intending for this to happen, Ganelon takes revenge on Roland (and betraying Charlemagne’s army) by informing King Marsile of a way to ambush the rear guard which was being led by Roland during the time the army was re-entering France through a mountain pass. Sounds a lot like the Spartans in 300, right? Well, that’s pretty much what happens. So yeah, the knight life may not have been for me. Ah, Tristan. ❤ For those who saw the movie Tristan & Isolde with the hunk-who-acts-drunk James Franco and thought it was a romantic tragedy…..you were bamboozled! The medieval story by Beroul is SO. MUCH. BETTER. Give me a second to reign in my feelings. Ok, so first of all, I didn’t start off as a fan of this book. About half of the book, to me, was boring. So they drink a love potion, fall passionately in love, have a secret love affair which *gasps* becomes known, and they both have to flee into the forest where mishap after mishap happens because her husband wants to kill both of them for being adulterers. Although there was a lot of suspicion and murder going on during this time, I still gave this story the side-eye for how it was being told. It’s written as if someone is really telling it, so there isn’t a lot of details involved. Many of the scenes are so quick that it feels like you can’t really experience the emotions that these two are having. And seriously, when was Love Potion #9 gonna wear off?? And then suddenly, it wears off. And suddenly, everything in the story – the tone, the feeling, the atmosphere – somehow changes. Every subtle detail began to stand out. Every hidden romantic gesture became agonizingly beautiful. These two characters wake up from what happened, and they spend the rest of the story trying to right their wrongs, blaming the potion for their love affair. But as the story continues to its tragic end, you realize that the true tragedy is that these two, despite drinking a love potion, really did love each other. It’s in their actions trying not to be in love and trying to convince the world that they’re not in love that gives them away. It wasn’t until I closed the book and sat there digesting it all that the heartbreak set in. The lais (which are lyrical, narrative poems) were written by one of the very few known women poets of the medieval era. And by known, I mean we only know her name and not much else. However, Marie’s lais have been pretty important ever since they were written in the 12th Century. In fact, they were one of the first works to be translated from Old French to Old Norse, which was commissioned by King Haakon IV of Norway who lived during the mid-13th Century. This collection of twenty-one tales that were all based on Marie’s lais were called Strengleikar, and was considered among the Old Norse Chivalric sagas. The story starts off with the kingdom of Camelot celebrating Christmas, and during their feast a green knight shows up on horseback to offer a wager: any knight could strike him with an axe as long as the Green Knight could deal him the same blow the next year. Although King Arthur tries to step in to handle things (his house, his rules), it’s Sir Gawain who steps in to strike the knight. Although Gawain cuts the opponent’s head off with the axe, the Green Knight doesn’t die. He simply picks his head up off the floor, tells him that he’ll see him next year, and goes on his merry way. This sounds all fine and dandy, except it really wasn’t a “he just lopped it off and the guy didn’t die” situation. It was a “blood spewed everywhere as his head rolled around the room, in which he bent down from his horse and picked his own head up off the floor by his hair” situation. Seriously, the details were on point. The rest of the story is then about Sir Gawain, a year later, going on his quest to find the Green Knight so that he can keep his word and his honor by allowing the Green Knight to basically cut his head off in return. Of course, things happen that we don’t see coming, and the whole story becomes a moral lesson. However, despite my love for this story, the blessing and the curse were in the details. Because while the whole encounter with the knight was awesome, the middle section of the story was a big “why?” moment. Why do we care about how they hunt, slay, and dismember deer for food? Was the author that hungry when they wrote this? Why are we spending so much time in this foreign kingdom when we have a Green Knight to go find? Especially when a very persistent lady is trying to jump Gawain’s bone and he keeps sidestepping her. And most importantly, why the hell are there full passages all about hunting and killing deer when there was only a one sentence mention of him fighting a dragon previously? Where the hell did this dragon come from, and why are we not talking about it?! But the biggest “why?” and “WTF!” moment was seriously when the Green Knight lost his head. Because not only was it a bloody scene, but then Gawain and Arthur exchange glances and start laughing. LAUGHING! And then King Arthur addresses his court like, “chuckle chuckle, wasn’t that the silliest thing to see on Christmastide? What games Santa plays!” WHAT?! This is not a laughing matter, Pendragon! This is a get-the-hell-out-of-Camelot matter. Even Sleepy Hollow didn’t have this kind of problem!